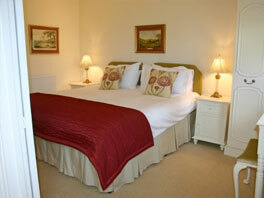 Landseer House self-catering cottages. Each sleeps 2. 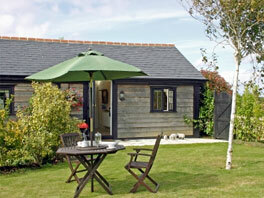 20 yards from the main house are two pretty Gorgian style single storey cottages, each with their own secluded garden. 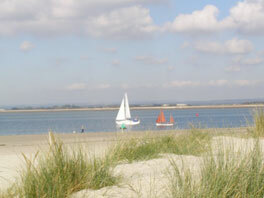 They are luxuriously furnished and well equipped rated 4 star by Visit Britain. They have vaulted and beamed ceilings. Open plan sitting room, fully fitted kitchen, separate double/twin bedroom, large en suite shower. Central heating and ample parking. 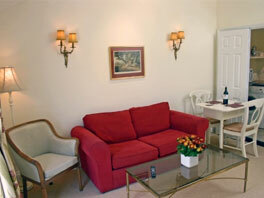 Facilities: Sitting room with sofa bed, coffee table, small table & chairs. Flat screen TV freeview DVD. Free Wifi. Kitchen: Electric cooker, fridge, microwave, washing machine/dryer and everything else you could need. Separate Bedroom: Super king bed/twin. En suite large shower. Quality linen and towels. Garden: Table and chairs. Umbrella. Barbecue. Travel Cots and high chair available. Short Breaks are a minimum 3 night stay.